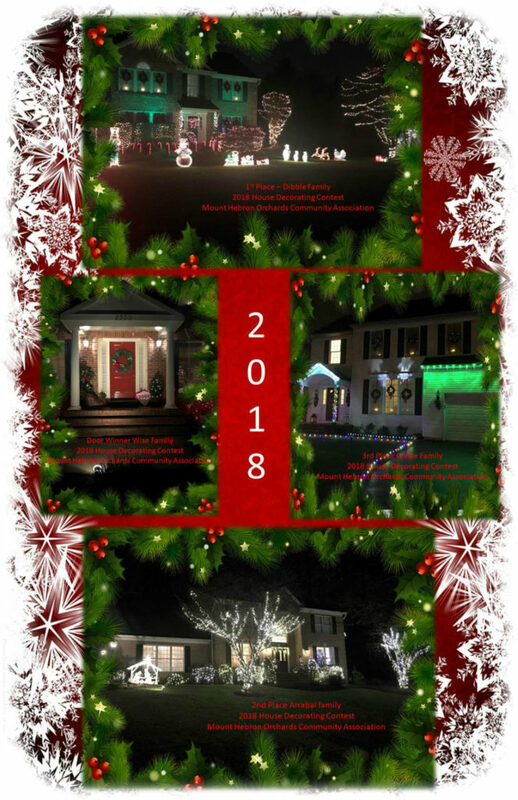 Mount Hebron Orchards Community Association announces the winners of the 2018 House Decorating Contest. Awards given for top 3 houses and best door. Lots of great decorations and many close calls. Thanks to everyone that participated this year.